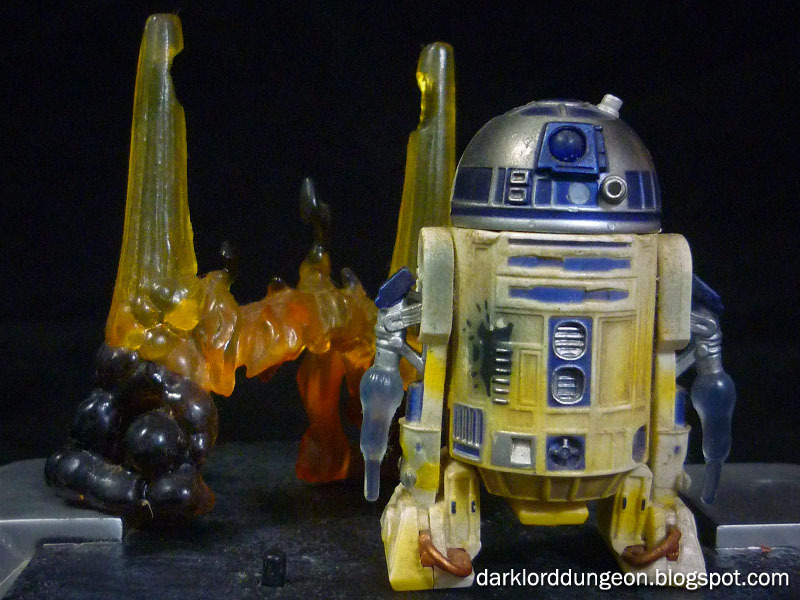 Presenting Luke Skywalker's TaunTayn from the Star Wars Empire Strikes Back Vintage Edition toy series. Alright, a scene where Luke Skywalker activates his lightsaber while riding a rearing TaunTaun probable never happened, but you have to admit it looks cool - though I think you can get away with doing this in Star Wars Battlefront and Star Wars Battlefront II. Now there are actually several subspecies of this repto - mammal distantly related to the Kybuck and indigenous to the planet Hoth. 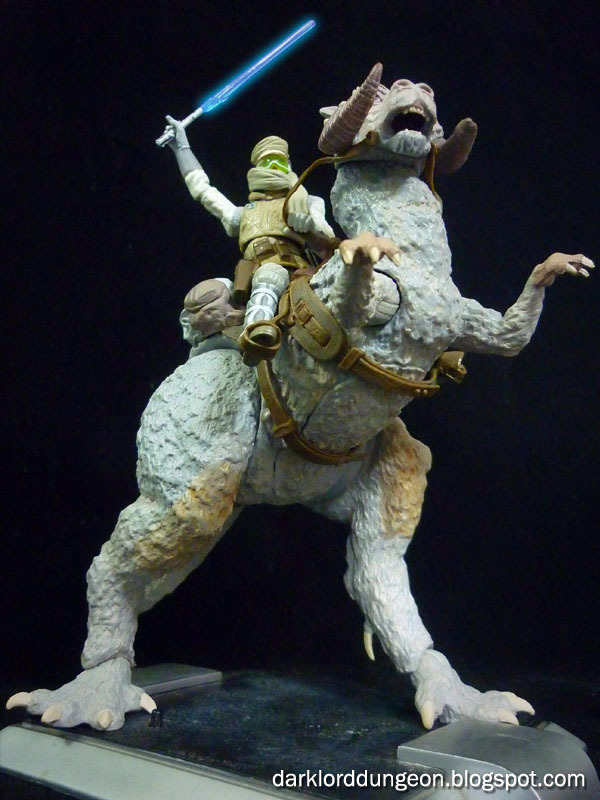 The specific subspecies used as both a pack animal and a scout-mount by the Rebel Alliance is the Giant TaunTaun. Tauntauns are omnivorous and have - get this - scaly skin covered in fur, lack mammary glands, give birth to live young (Which they fed by regurgitating a milky substance), and are warm blooded. So they're part Frilled-Lizard, part Kangaroo - yes Marsupial are mammals. 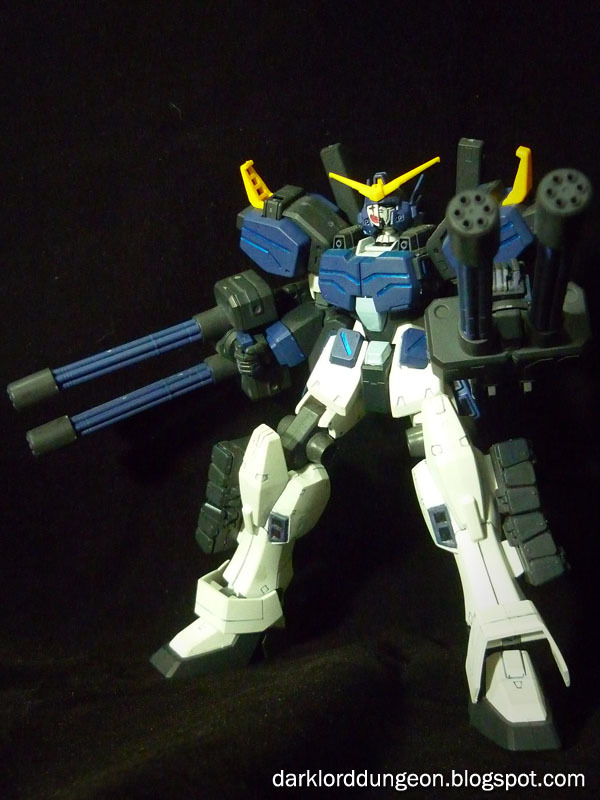 Presenting the Gundam Heavyarms Kai from the Gundam OVA Endless Waltz - aka XXXG-01H2 Gundam Heavyarms Kai, Heavyarms Kai or Gundam Zero Three. This is an assembled Bandai EW-04 1/100 scale model assembled and hand/spray-painted by me. To the uninitiated - including me - this is an upgraded version of the Gundam Heavyarms XXXG-01H seen in the Gundam Wing Television series which bore a bright red-orange and white paint scheme versus the dark-blue, gray and white that you see here. Unfortunately I don't/didn't/won't follow Gundam. It's just not my thing, so there's not much that I know about this particular Gundam or Gundams in General. All I know about this particular Gundam is that he's space-worthy, piloted by a guy named Trowa Barton, has enough firepower to level a city. 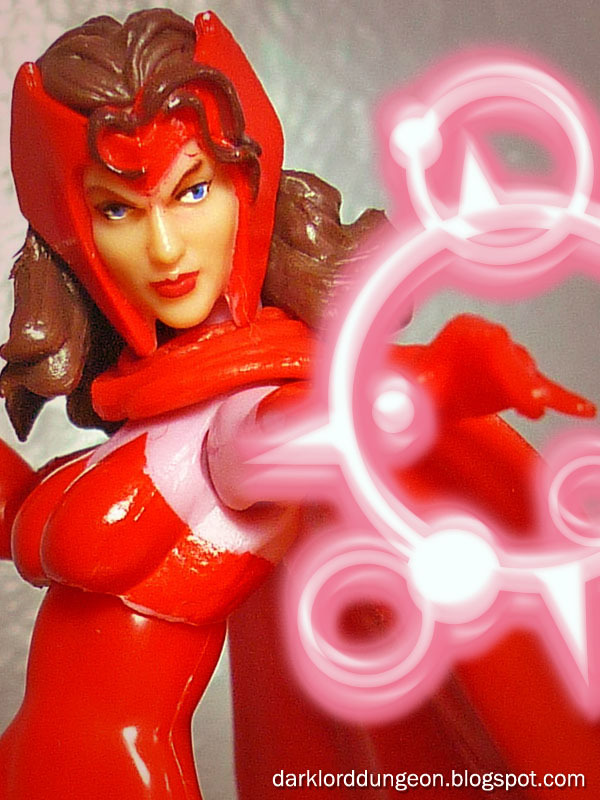 Presenting the Scarlet Witch Wanda Maximoff from the Marvel Universe Toy-line. The Scarlet Witch is one of the most controversial characters ever to be created for the Marvel Universe by Stan Lee and Jack Kirby. Not only is Wanda one of the hottest tails in the Marvel Universe, she's Magneto's daughter! Not only did she serve under him in the Masters of Evil before turning to evil, she chose to marry a toaster over a real person. Then Wanda realized just how powerful she really is and is now one of the most feared mutants on the planet by wiping out first all of the mutants on the planet then later, with the help of Hope Summers, wiping out the Pheonix Force. The Scarlet Witch is a reality manipulator you do not want to mess with. 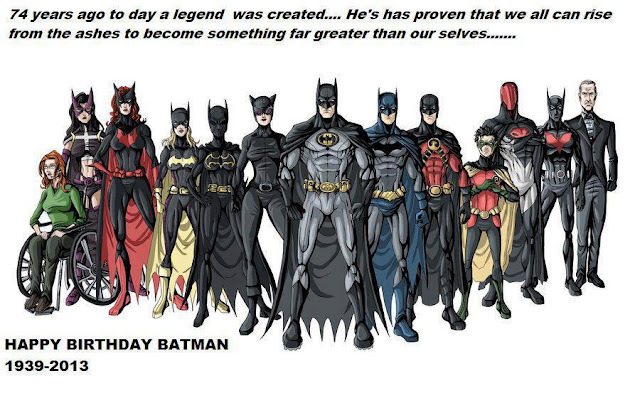 And a dear to Photoshop. 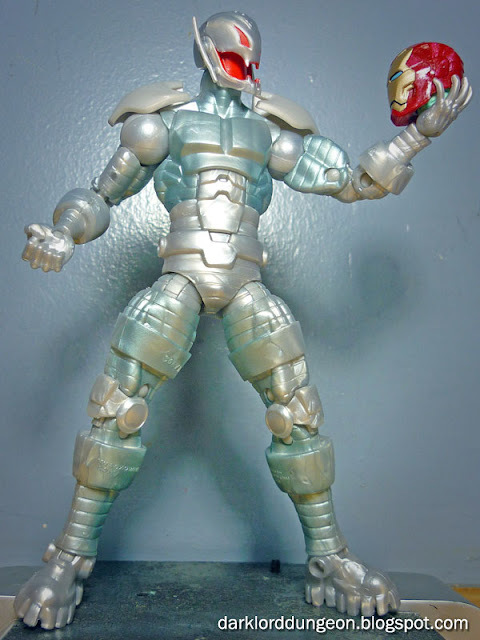 A lot of people have already talked about the Iron Man MK 42 armor from this series of Marvel Legends, so I decided to skip him a little and jump straight to everyone's favorite invulnerable villain and current cause of the dimension altering Age of Ultron in the Marvel Universe. To the uninitiated, Ultron was created by the Avenger (Wife-beater) Hank Pym using Pym's own brain waves to program his personality (Why Hank Pym is still an Avenger is beyond me). Anyway, Ultron goes nuts, falls in love with Janet Van Dyne and goes on to try and destroy the world. To make things worse, he's built from Adamantium - the same invulnerable metal that Wolverine' claws are made of, making him nigh impossible to destroy, and everytime he is destroyed he simply uploads/downloads himself to come back to destroy the Avengers again. Oh and he makes children too - somehow he needed to procreate - and is therefore the acknowledged father of the Vision, Alkhema, and Jocasta. 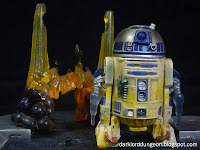 Presenting the R2-D2 and the Super Battle Droid from the Star Wars 30th Anniversary Coin Collection. 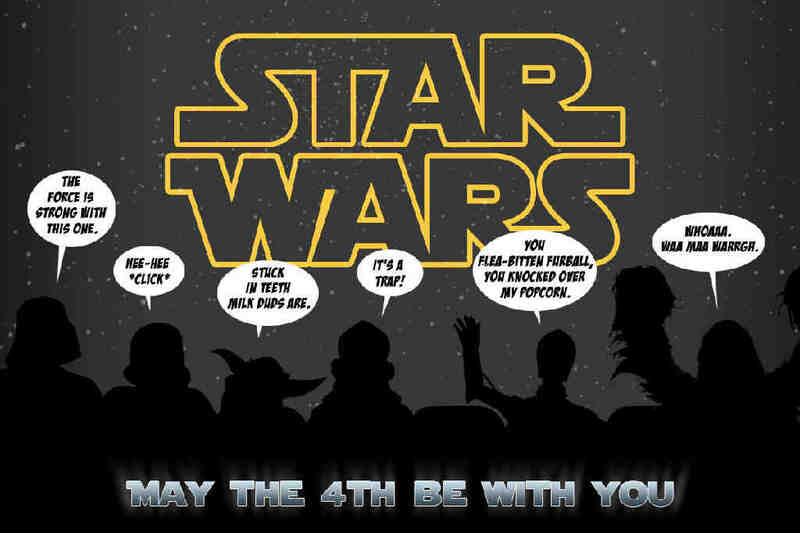 A few weeks ago a good friend of mine Ed Geronia posted the question "Why is it that R2-D2 does not fly in Episodes IV-VI?" 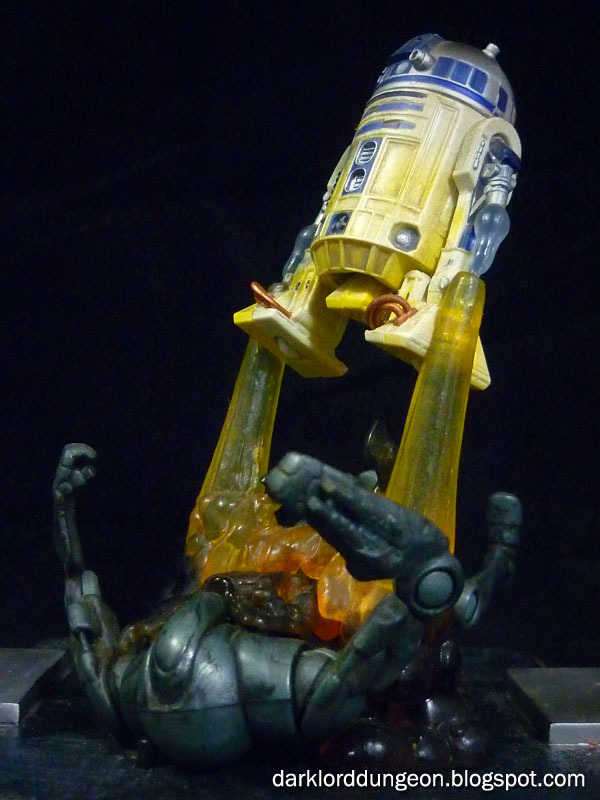 To the uninitiated, R2-D2 first took flight in Episode II in the Droid Assembly plants of Geonosis. R2-D2 then again in the hangar of General Greivous' flagship in Episode III where we find this actual scene where R2-D2 sprayed a pair of Super Battle Droids with fuel before igniting his Brooks Propulsion Booster Turbines and setting fire to the Super Battle Droids, destroying them in the process - though we only have one Super Battle Droid in the diorama. R2-D2 was also depicted as flying in the Clone Wars -in fact Anakin Skywalker actually rode him (I know, weird.). And he is again seen flying this time in space in the Expanded Universe (Star Wars Legacy of the Force) where he saves Luke's Skywalker's Grandson Cade Skywalker from floating to his death in a sun. I honestly don't recall him ever flying in the books, but I could be wrong. 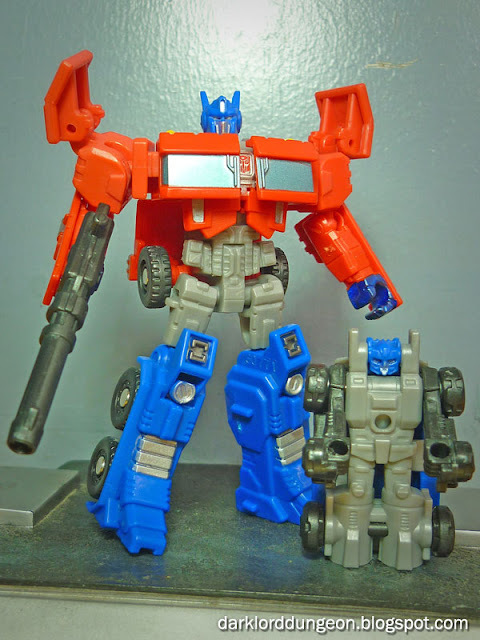 Presenting the Transformers 30th Anniversary Generations Optimus Prime & Roller. 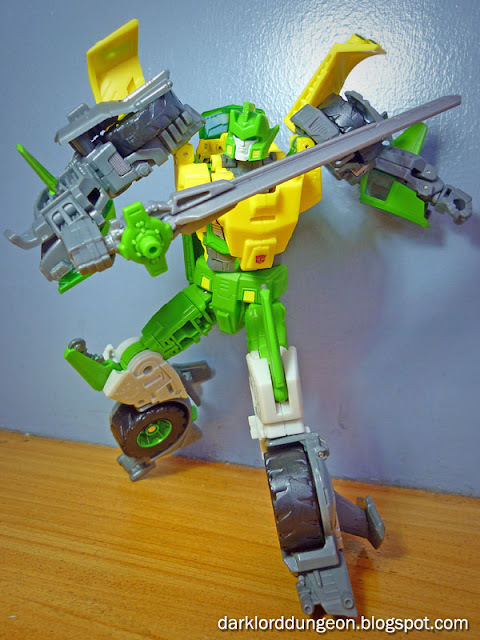 Now if you have this little Legends Class figure or if you've seen this figure in other forums or anywhere else on the web, you'll find a figure that has the shoulder pauldrons locked down flat on Prime's shoulders. And if you read the transformation instructions, you will not find instructions telling you to raise the shoulder pauldrons. 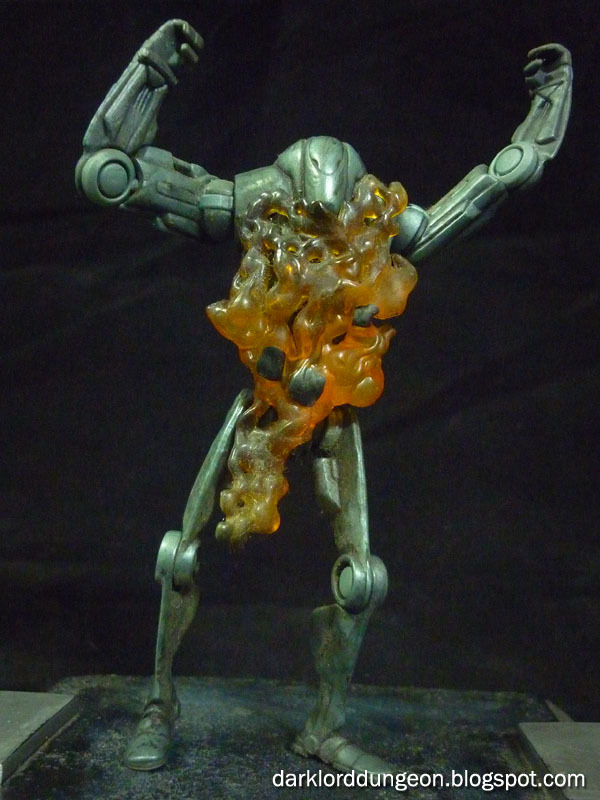 Here's the thing though, when they're down, they hamper Optimus Prime's arm articulation. Further, what was the point of adding a joint there if it was not going to be used? So I raised them. You can keep them down if you like, but you won't get as much movement out of him. And if you look at the back of his blister card, the pauldrons are slightly raised. Presenting Jedi Master Aayla Secura from the Star Wars Revenge of the Sith Vintage Toy Line. Obviously I have a thing for this scantly clad Jedi Master. And after really enjoying the Clone Wars version of Aayla Secura, I just had to get the vintage edition of the figure when it came out. To the uninitiated, Jedi Master Aayla Secura was a Twi'lek Jedi Knight who trained under the infamous "Gray Jedi" Quinlan Vos. Aayla was first seen in Star Wars Episode II, walking in the Jedi Temple and later battling alongside her fellow Jedi in the Geonosis arena. 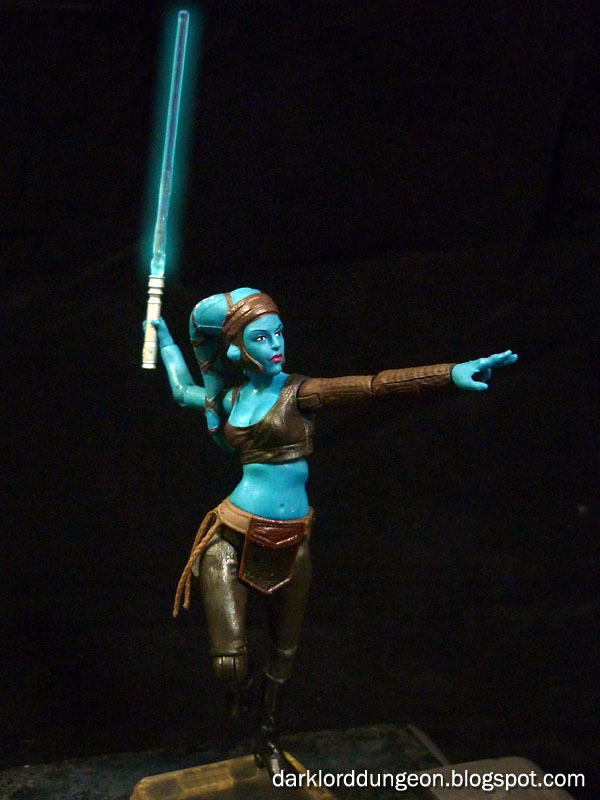 Between Episode II and III Aayla Secura would gain the rank of Jedi Master. Trained as a Jedi Guardian, her skill was sufficient enough for her to be able to battle General Grievous and to defeat the Jedi Hunting Bounty Hunter Aurra Sing. She would meet her end when Order 66 was given at the hands of her friend Commander Bly and his Clone Troopers. Presenting Snake Eyes from the Dollar General Exclusive toy-line. I don't actually remember in what specific issue of the Marvel series GI Joe Comic that Snake Eyes switched to this power-ranger version of his uniform (I was poor and couldn't afford to keep buying comic books). But it was a short lived version. It's not that I don't think it's a nice or practical uniform, it's just that I think commandos should stick to matte black uniforms with absolutely nothing gleaming off of them - they're supposed to be invisible after all. So this baby blue and light-gray variant kinda goes against everything that Snake Eyes should be - in my opinion at least. 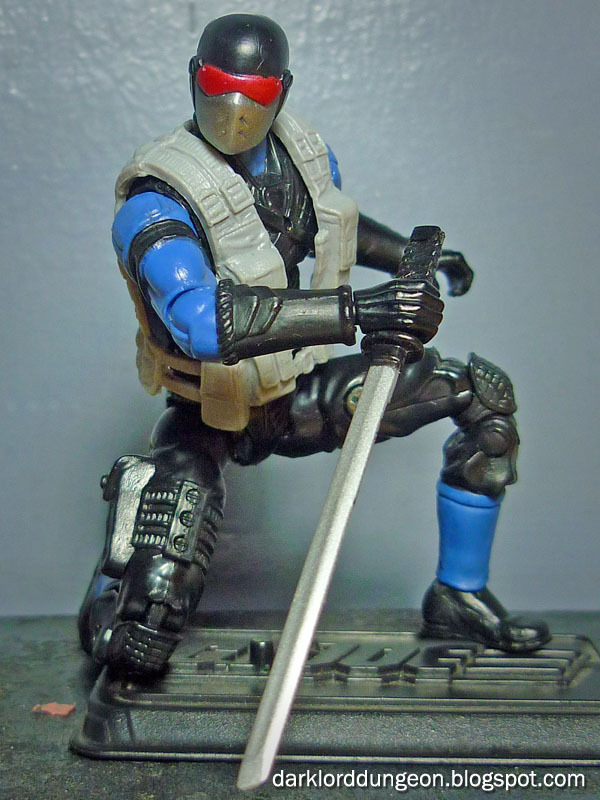 My ideal Snake Eyes is still - and probably always will be - the Spetsnaz looking POC Wave 1 Snake Eyes, and; (with less gear) the POC Wave 3 Snake Eyes. Presenting the Autobot Springer from the Transformers 30th Anniversary Generations Toy Line. 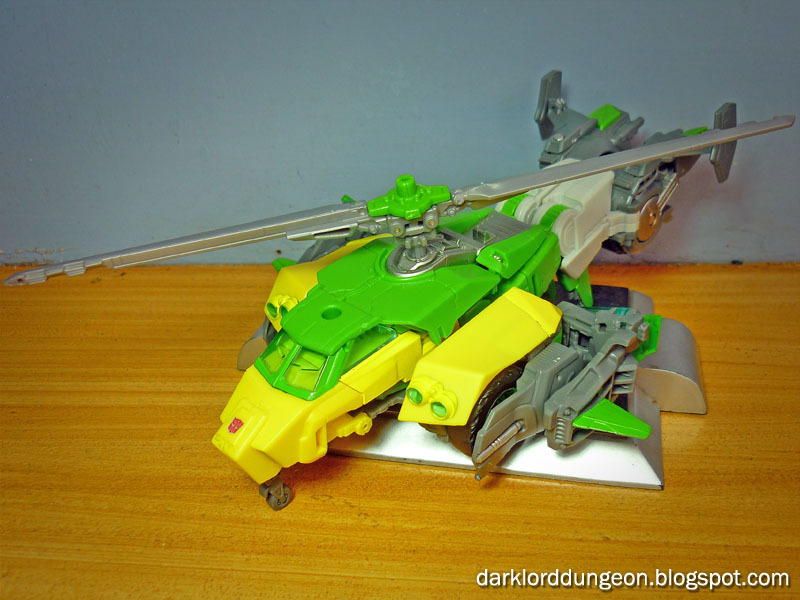 Springer is not to be confused with the Transformers Generations Springer Asian Exclusive - though I'm pretty sure that a lot of that will happen. 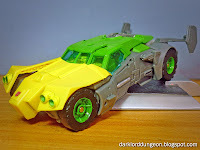 This particular Transformers Generations Springer is the herald of the upcoming 30th year anniversary of the Transformers in 2014 - so do expect to empty your pockets more from now till then.